Welcome to the ultimate real estate attorney guide 2018! A resource to help you discover which attorneys can help you with your real property legal issues. Civil Litigators – Breach of contract, fraud, etc. Real Estate Transactions Attorneys – Contracts, loan docs, deed transfers, etc. Land Use Attorneys -Help you build buildings. Tax Attorneys – Get those real estate tax deductions! I’m in my fourth year of practicing law and I’ve realized that the term real estate attorney is not very helpful. I am constantly asked by my potential clients just how can I help them. A question that my family, personal injury, and criminal lawyer colleagues are never asked. I think it is because the lawyers that have preceded them in their chosen field have a good job of defining their practice area. Criminal lawyers defend people accused of crimes, but they do not call themselves “people lawyers.” People lawyer is to criminal lawyer as real estate lawyer is to real estate lawyers. It says who we serve but not how we serve them. In practice, most of us real estate attorneys have a specific specialty, a certain kind of problem we solve that falls within the realm of real property law. Landlord/tenant attorneys resolve landlord/tenant disputes, title attorneys order title and perform settlements, and zoning and land use attorneys help resolve zoning issues. Most real estate attorneys just do one thing. To further complicate things, the attorney that can help you with your real property legal issue might not call herself a real estate attorney. You wouldn’t believe how many people contact me to inquire about helping them evict their spouse. 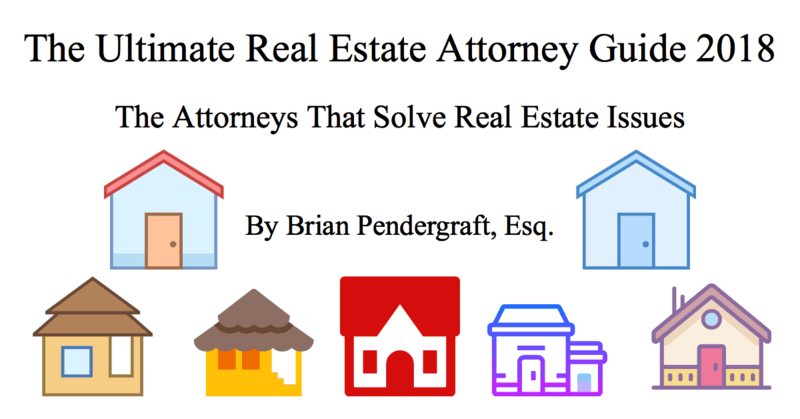 So I decided to create the ultimate real estate attorney guide for you to use as a reference to clarify just what attorneys can help you with specific real estate issues. If you’re interested in what I do and what problems I myself it’s at the end. I saved the best for last. Landlord-tenant attorneys litigate landlord/tenant issues on behalf of landlords and tenants. In most jurisdictions, a residential landlord cannot evict a tenant without going to their local court to get a court order. Landlord/tenant dockets are so full where I practice that we have dockets just for landlord/tenant hearings. A landlord/tenant attorney can help you argue your case to the Judge/Jury to enforce your lease agreements. In the courtroom, you’ll notice landlord advocates that represent are filing against half the tenants in the room. Their counterparts are the often pro-bono tenant advocates that solely represent tenants. Landlord-Tenant attorneys also do transactional work such as lease drafting and reviews. A commercial lease review is a must if you’re contemplating entering into a lease for your new business. Send demand letters and negotiate out of court settlements. Write books – I wrote a short book on how to avoid the legal pitfalls that cost landlords thousands of dollars called Planlord. Real Property litigation attorneys go to trial over real property issues. For example, let’s say you’ve always crossed a particular path for years to reach a community trash can. Then, your neighbor constructs a fence so you can no longer take the path. These are the kinds of issues a real property litigation can help solve. Here are more examples of problems they solve. Click the links to see articles with more information. Mechanic’s Lien – Contractors that aren’t paid can attempt to get a lien on the house. Premises Liability – Tenant slip and fall. Nuisance – Neighbors dump trash in your yard. Specific Performance – Make Buyer or seller go through with the contract. Breach of Contract – Your real estate contract is broken. Misrepresentation, Fraudulent Concealment – Undisclosed defects in a house you bought. Quasi-Contract Actions (Promissory estoppel, detrimental reliance, unjust enrichment). 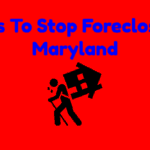 Foreclosure Attorneys are litigation attorneys that litigate foreclosure matters. Attorneys that help initiate foreclosure are called foreclosure/creditor’s rights attorneys. Those that defend are called foreclose defense or debtor’s rights attorneys. Most only help one side. Real Estate Transactions attorneys are contract lawyers that specialize in real property. We essentially help our clients with two things (1) contracts for sale/lease of real property and (2) real estate finance agreements. Our job is to walk you through the real estate transactions process from beginning to end. For more complicated commercial contracts you can also hire us to negotiate on your behalf. The term title attorney is often used interchangeably with closing and settlement attorney, but they all generally refers to an attorney that performs two functions (1) preparing documents to finalize a real estate transaction and (2) inspect title and issue insurance. In many jurisdictions, the buyer has the right to choose the closing attorney and many choose their own real estate attorney. However, sellers can opt to have their own attorney review the closing attorneys work. Title work (title opinions, title search, title insurance) is necessary because many buyers sell property that they do not have a right to. Often unknowingly. A good Title Attorney’s job is to make sure you are buying what you think you’re buying. However, because it’s not possible to know with 100% certainty even after a thorough search, we order title insurance to cure title defects that may appear in the future. Attorney-Brokers are attorneys have their real estate licenses. Real estate brokers cannot give legal advice. Many real estate attorneys only give legal advice. Attorney-brokers are the best of both worlds because they can give both real estate advice and legal advice. A short sale is selling a property for less than what it actually owed. Selling your home for less than what is owed on it creates a deficiency. The lenders can seek the deficiency amount from the seller unless they agree to waive the deficiency. Because lenders will not get paid everything they are owed, it requires the approval of all lenders. A short sale attorney can help negotiate short sales and deficiency waivers on behalf of their clients. Business attorneys are lawyers that focus their practice on issues that affect business. Once you start accepting money from a tenant, you have started a landlord business! Are you contemplating buying a multi-million dollar commercial landlord business empire? You’ll need the help of a mergers and acquisitions attorney to walk you through it! Mergers and acquisitions lawyers specialize in helping their clients buy and sell businesses. You may desire to form a non-profit to provide housing to the homeless. To do so you’ll need to form a non-profit and comply with the rules and regulations for a non-profit. You’ll need to hire an attorney that is experienced with non-profits. Non-profit attorneys can help you obtain 501(c)(3) status. 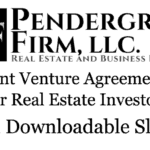 Want to raise millions of dollars to do large commercial real estate deals? This activity is regulated by the securities and exchange commission so you’ll need an attorney that is familiar with the ever-changing rules. A syndication lawyer can help prepare legal documents and counsel you on how to raise millions of dollars within the bounds of the law. Estate planning attorneys can help you protect and preserve your real estate empire for generations. Real estate and estate planning go hand-in-hand. 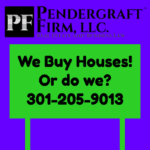 Many real estate attorneys are also estate planners. I’ve included probate and guardianship attorneys in this section because they closely relate. Trusts & estates attorneys have three primary functions: (1) estate planning, (2) asset protection and (3) tax planning. A proper estate plan can help a real property owner minimize court intervention in the event she dies or becomes incapacitated. In the event you become incapacitated without an estate plan, the court will supervise the management of your real estate and your health care. This will cost your family a lot of time, court visits, and attorneys fees as the court micro-manages and limits what they can do. A proper estate plan can minimize court supervision and save your loved ones attorney’s fees and time. 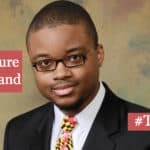 In the event you die without an estate plan, your assets will be distributed with court supervision under what I like to call your jurisdictions “default estate plan”. Most likely the State’s default estate plan does not match your intent, and the probate process costs your loved one’s time, money, and probate attorneys fees. With a proper estate plan in place, you can minimize court involvement (the probate process discussed below) and have the assets managed with minimal court supervision. Probate attorneys are closing attorneys for the dead. They assist in advising personal representatives/executors on how to settle the affairs of a deceased person. If you’ve inherited real property that must be probated, a probate attorney can assist you in transferring the property from the estate to yourself. In many instances, a person who inherits a home may not want it and decide to sell the house to settle the estate. If someone becomes incapacitated without having appointed someone to care for their property, the court will step in and appoint someone to do so. A Guardianship attorney can help guide close relatives through this process. Construction attorneys provide a large array of services to anyone involved in a construction project. They represent architects, owners, suppliers, contracts, sub-contractors and more. They help from planning to completion of the project. They help with getting building permits, employment immigration, labor issues, negotiating construction contracts, violations, insurance issues, construction claims, and much more. 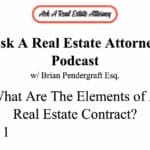 These attorneys aren’t real estate attorneys but they you may need them to resolve your real property issue more than you need a real estate attorney. Hate doing taxes? Me too. Luckily there are tax nerds that love doing taxes and figuring out just how much money they can help you save. 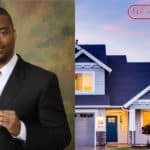 Find a tax attorney that is experienced with working with real estate investors the unique tax treatment of real estate. Is your real estate empire in debt? A bankruptcy attorney can help you set up a payment plan to repay creditors or sell assets to get a fresh start. Do not solve real property issues, however, there are many real estate entrepreneurs that create and sell intellectual property such as real estate education books and courses. An intellectual property attorney can help you protect your unique content. If you’re interested in exploring this further check out this video on Trademarks For real estate investors. If you’ve made it to this section it’s because you’re interested in me and what it is that I do. Thanks so much! The first case I ever won was helping a landlord evict a bad tenant, and I’ve been helping real estate investors ever since. Nowadays my practice is focused on the transactional & business areas. I am a contract lawyer at heart. I enjoy drafting documents for the sale of real estate, real estate finance instruments, reviewing commercial leases and purchase and sale agreements, and closings. However my toolbox is not limited to just those things, I recently helped a client create a revocable living trust to hold real estate because it made sense for her goals. My ultimate goal is to create a different kind of law practice. I do not want to create a traditional law practice where the goal is to grow by billing as many hours as possible. I want to change what it means to work with an attorney. I want to create win-win situations where my real estate entrepreneur clients get paid so I can get paid. This is what I think it means to be the “Ultimate Real Estate Attorney”. Of course, this is easier said than done. I have plans to turn this vision of mine into a reality in 2018 so stay tuned! In the meantime, if your real estate business is in need of an attorney do not hesitate to reach out to me. Unless you need help evicting your spouse, that is something that the Ultimate Real Estate Attorney cannot help you with. Thanks for reading! Should I Form a LLC For My Real Estate Business?